Budget cuts and bureaucracy have been blamed for blood shortages which have claimed several lives in Burundi and led to calls for an overhaul of the transfusion system. “One woman died during a Caesarean operation in Bujumbura, another died in Gitega, in the centre of the country, while a third patient died in Ngozi in the north of Burundi,” said Moise Ntiburuburyo, who heads the Association for the Defence of Patient Rights. 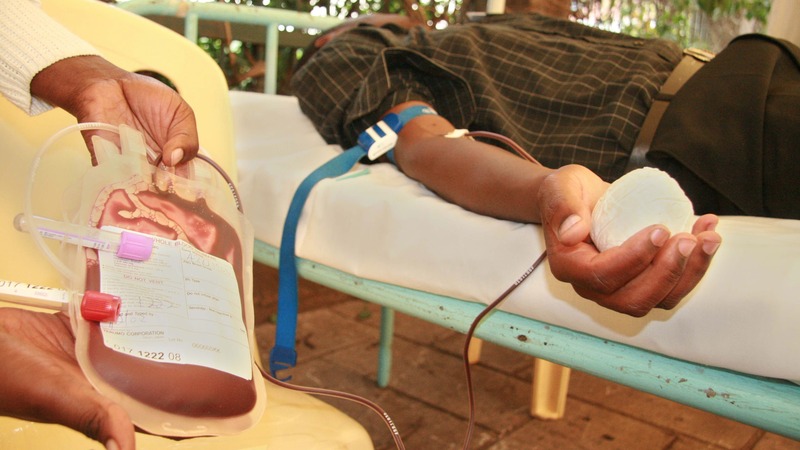 A shortage of bags has left many hospitals across the country with severe shortages of blood in recent weeks, leading, according to Ntiburuburyo, to scheduled operations being delayed. The head of the National Blood Transfusion Centre (CNTS), Gilbert Nduwayo, told IRIN the Centre had received some 1,500 blood bags since the weekend, allowing his teams to go out and collect blood in different parts of the country. Although the problem was not yet over, the situation was under control, he said. Gilbert attributed the shortage to insufficient funding and to the procedures he was required to follow to procure blood bags which can take up to two months to complete. CNTS, the only organization authorized to collect blood in Burundi, needs an annual 1.2 billion francs (US$775,000) to work properly but only gets 575 million ($370,000), he said. Mélance Hakizimana, the head of SYNAPA, a medical workers union, described the shortage as a “scandal” and called for “urgent investigations” into the crisis. CNTS has not been working normally for the past five months, she said, calling for its budget to be beefed up. “How can it be that the CNTS complains of having no vehicles for blood collection while some senior [health] ministry officials have just procured new vehicles and continue to collect mileage allowances of up to 500,000 francs ($322) when the CNTS has no blood bags which cost 2,500 francs ($1.6)?” she said. At the start of 2014, the CNTS budget was cut by 50 million francs, badly affecting operations even after this amount was restored mid-year, Nduwayo explained. The Centre needs to collect some 16,000 bags of blood to meet needs for the rest of the year, he said. Ntiburuburyo, the patients’ rights advocate, said patients would be better served if the capacity of blood banks were increased and the process of taking blood automated. With such a system blood can be collected from 10 people in a couple of minutes and then very quickly tested, compared to the current method where it takes 15 minutes to draw blood from a single donor, he explained.